Jeff Goldblum has been acting for a very long time—44 years and 122 credits, per IMDb—which means he’s also been a public and publicly stylish figure for an awful long time, too. Lucky us: we get to go back and revisit every public style choice he has made. 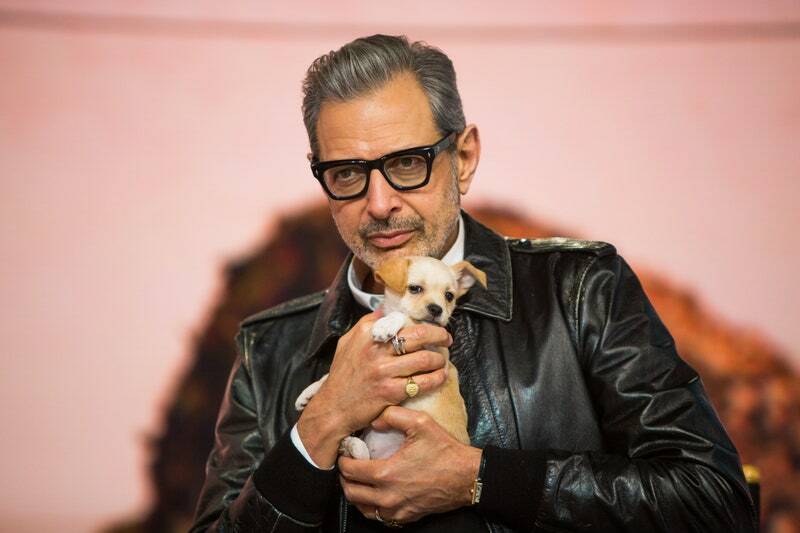 While today we obviously know that Jeff Goldblum is a silver-haired fox with untouchable style who loves a great leather jacket, rocks a turtleneck like nobody’s business, and knows his way around a perfect Prada polo shirt. And when you look at approximately 8,000 photos of Jeff Goldblum, you notice one thing more than anything else. (Well, besides the fact that he once dressed as Jesus, once played backup keyboard for Lisa Loeb, and ran a food truck called Chef Goldblum’s.) 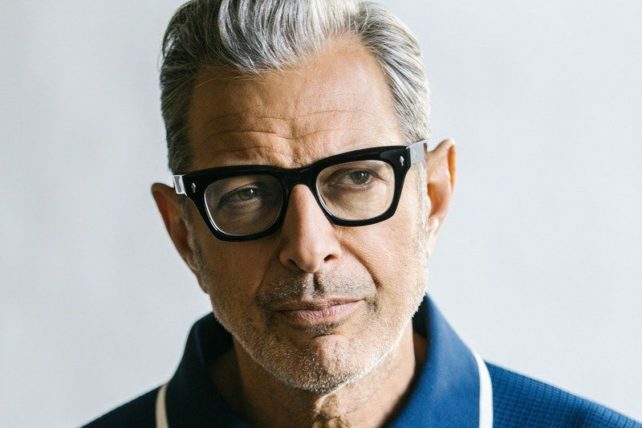 You notice that Jeff Goldblum has been on a career-long eyewear journey, jumping from one style to another almost as often as he put out movies. 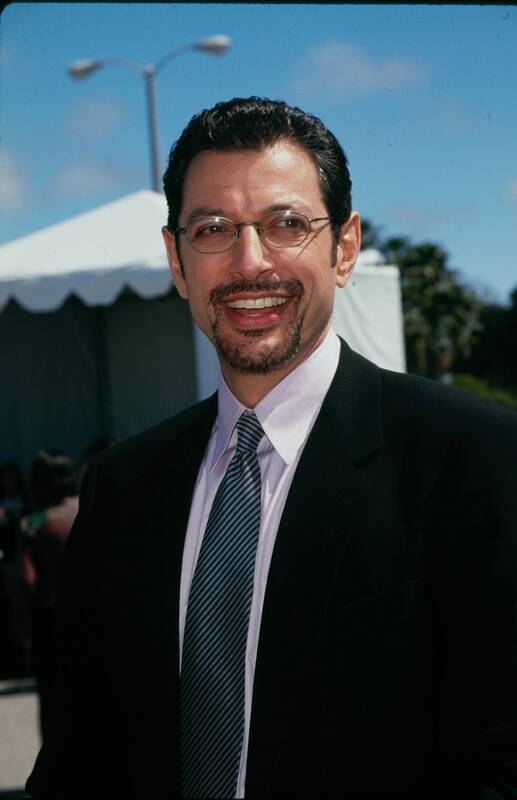 For instance: did you know that, for a mercifully brief period in 1995, Jeff Goldblum he rocked this facial hair and a pair of itsy-bitsy oval-frame specs? 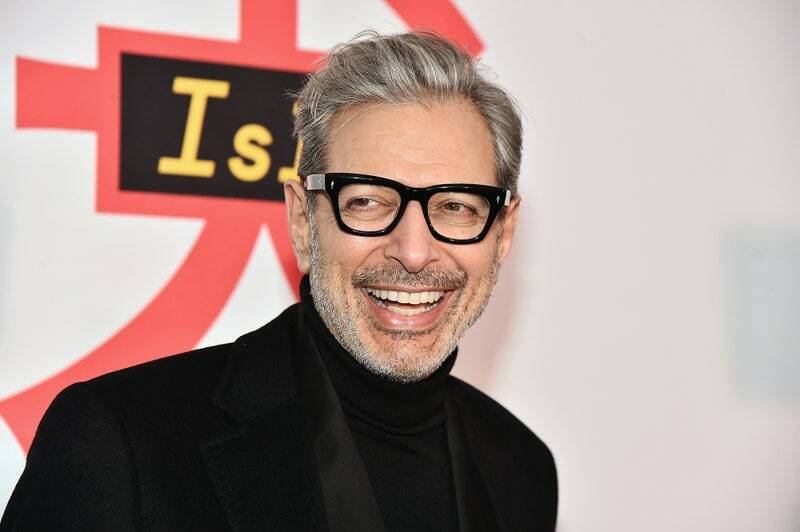 These days—most recently on a press tour promoting the Wes Anderson film Isle of Dogs, Goldblum prefers a pair of thick, trapezoidal, black acetate glasses that playfully anchor his idiosyncratic features and enhance even the simplest outfits. This is a great call. It is also the product of a lifetime of searching. Finding the perfect accessory takes time and experimentation, and that means delightful mishaps along the way. 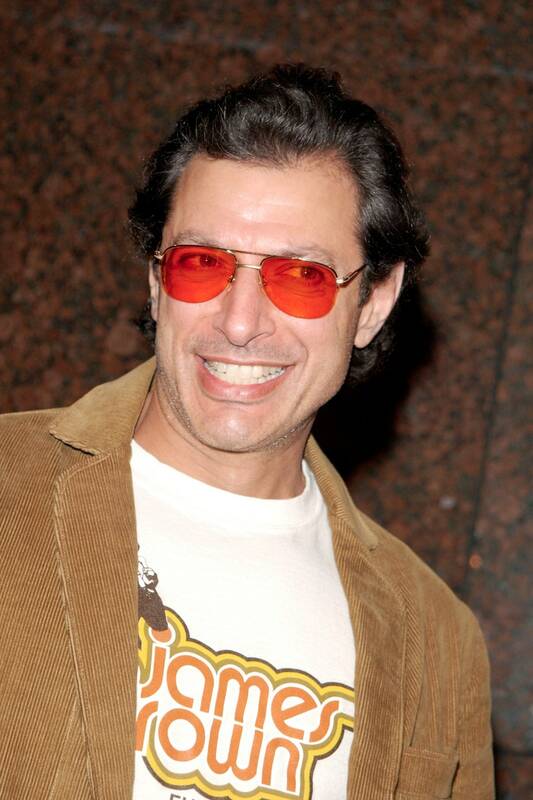 Goldblum came tantalizingly close to his current frames back in 2001, but the 2000s happened to everyone, and he was quickly sidetracked. In the hopes of passing some quality Goldblum knowledge along, we’ve collected some hits, misses, and genuinely bizarre moments along the way. This is the Jeff Goldblum Guide to Eyewear. First, the stragglers. Nobody’s perfect—and while 2018 Jeff Goldblum is an international, fashionable, piano-playing, movie-starring treasure, there were some other Goldblums I met along the way. Goldblums I hardly recognized. I would not go so far as to call them lesser Goldblums (but they would not have been out of place in the cast of Boogie Nights). The lesson: beware the novelty frame. You want to wear your glasses, not the other way around. Tinted lenses are back these days. 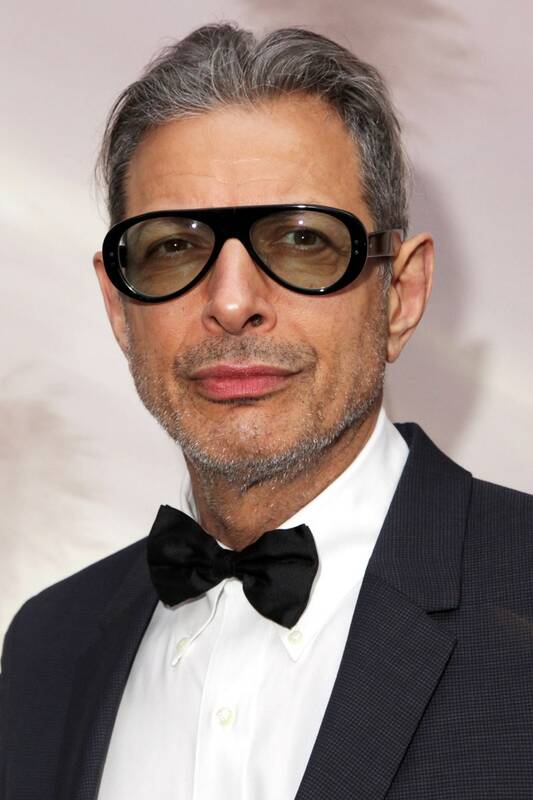 And if you’ve been wanting to try them out, consider that Jeff Goldblum has been wearing them for decades. After working out the kinks early on, Jeff realized that when it comes to tinted lenses, subtler is better, and it’s been smooth sailing since. A little bit of light amber is an awards show look some actors would kill for. 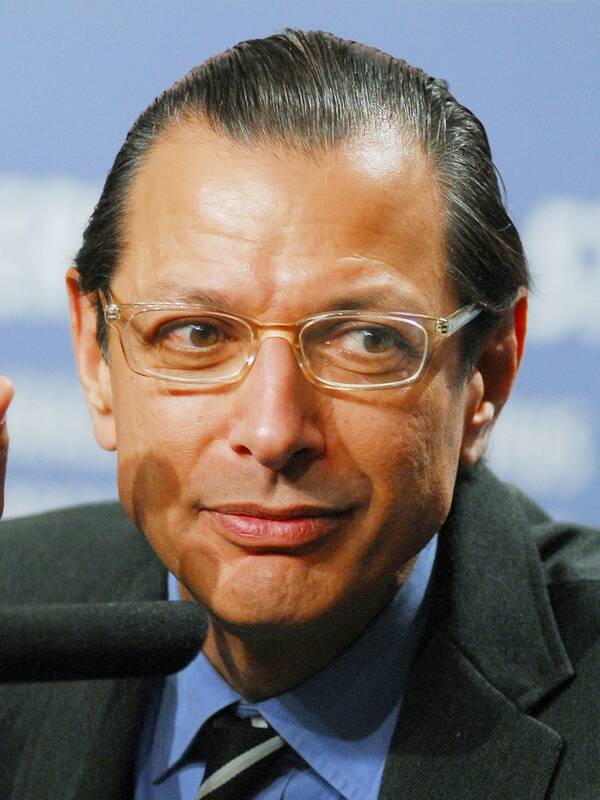 Goldblum has gone through a few different clear-frame periods. 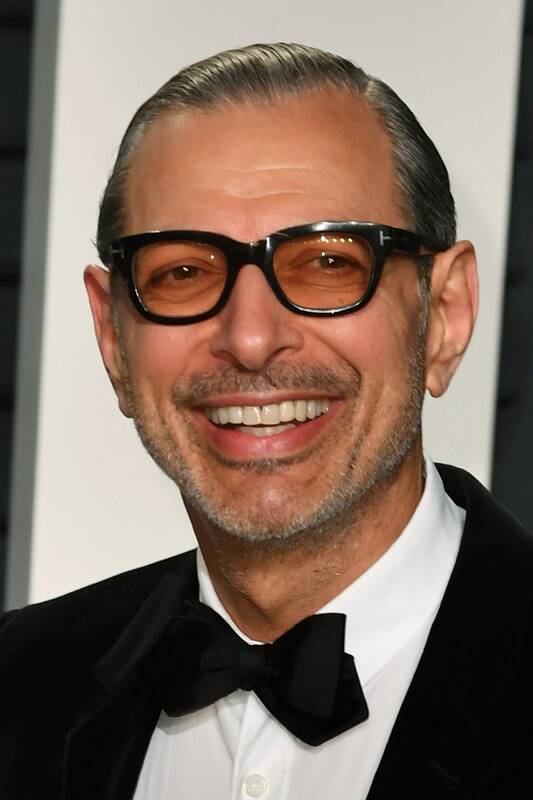 For the most part, his taste is on the money: when done right, clear frames look modern and playful—and if you’re Jeff Goldblum, they allow you to keep the attention on that fact. While his first ’90s go leans a little “my client is being punished for his personal beliefs, this is a witch hunt,” the second, more recent pair come close to perfection. Here’s why: they’re bigger. When you’re gonna swerve, lean all the way in. These days, Goldblum loves a black frame. And we don’t blame him: he can wear a black frame better than just about anyone on the planet. He looks like a walking ad for eyeglasses. While horizontal shapes suit him better than round ones, this man looks fantastic in black rims. Which brings us to our final lesson: when you find the shape and style that works for you, stick to it. Buy multiples. Experiment with shapes. Take advantage of your company’s eye insurance. 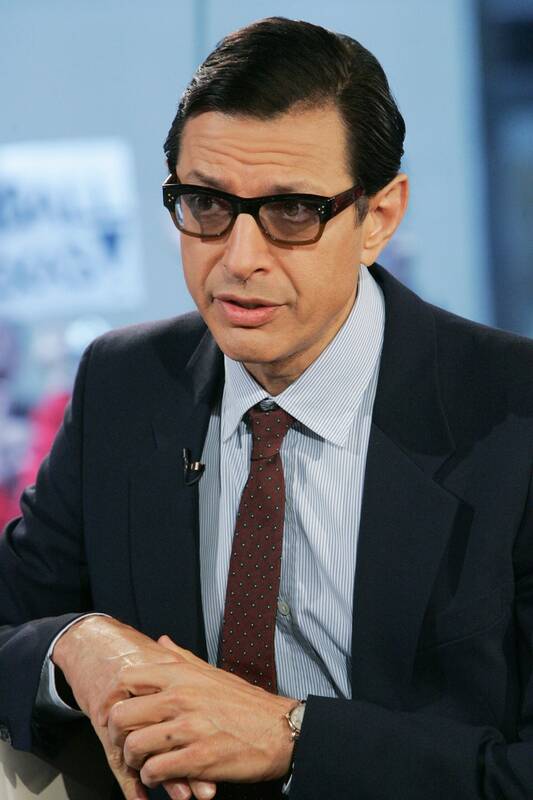 And never forget: anyone can and should wear glasses with the confidence of a Jeff Goldblum.